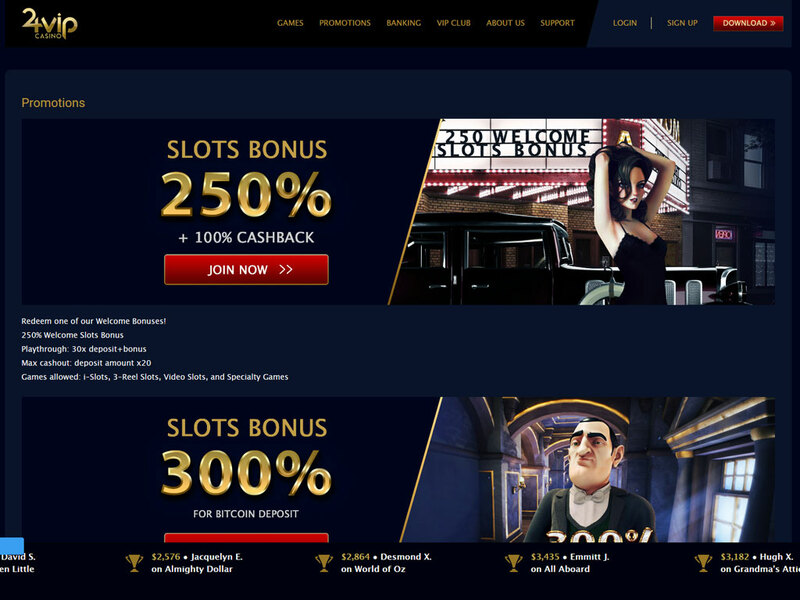 24 VIP Casino was launched in 2017 and accepts players from South Africa. There are over 150 exciting slots and casino games to choose from. 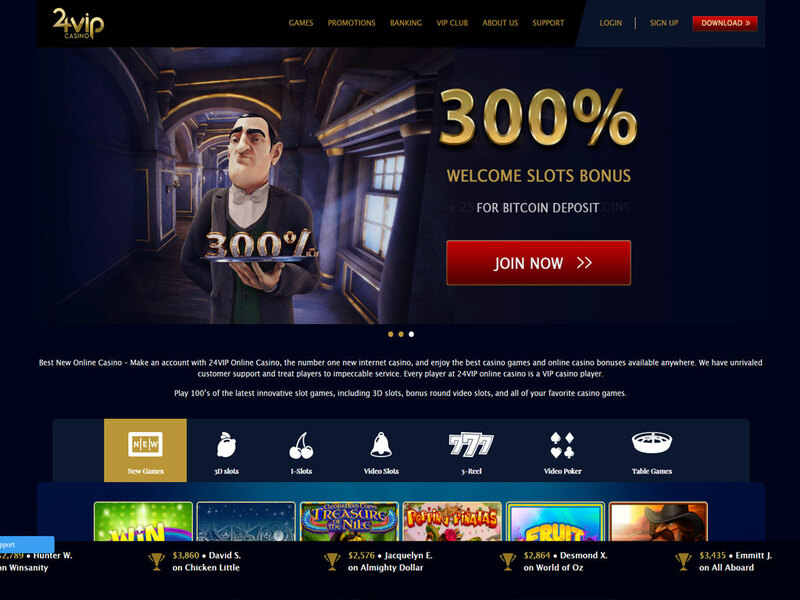 24VIP makes use of Rival Gaming and Betsoft games developers which offer the best and most advanced in online gaming technology. New games get added almost weekly. 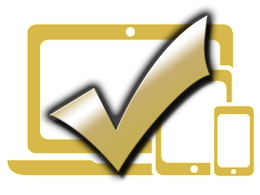 24VIP has a strong social media presence such as Facebook and Twitter. Players can also access 24VIP from their PC, Mac, or Android and iOS tablets and Smart phones. 24VIP has a variety of games which are divided up into categories such as New slots, 3D slots, i-Slots, Video slots and Video poker. The i-Slots feature interactive stories that play out on the reels which can award some big winnings! All they different types of slots offer tons of thrilling action and dynamic themes. Table games include and Table games Roulette, Blackjack, Baccarat and Poker. Live Dealers are also available for those players who prefer to play live table games. Players can aspire to become members of the VIP Club which has four different levels. Members get access to a weekly bonus, as well as daily and monthly Cashback deals. 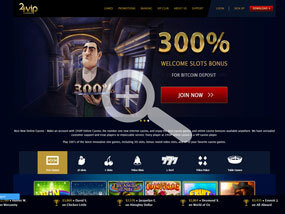 24VIP Casino deposit and withdrawal methods are trusted and safe. Player’s safety and confidentiality of personal information are top priority. The friendly and expertly trained Customer Service Representatives are prepared to help find solutions to whatever issues might arise. With safe and reliable banking options, friendly customer support agents and hard to resist bonuses players will no doubt enjoy playing at this new and upcoming South African online casino. Register a new account to claim the 100% matched R10'000 Welcome Bonus on the first Deposit, and another 200% match on yuor second deposit up to R2'000. Cashback - 10% Cashback on the previous day busted deposits based on VIP level. All the quality casino games are available on desktop/laptop as well as mobile devices Android, iOS, and Windows.